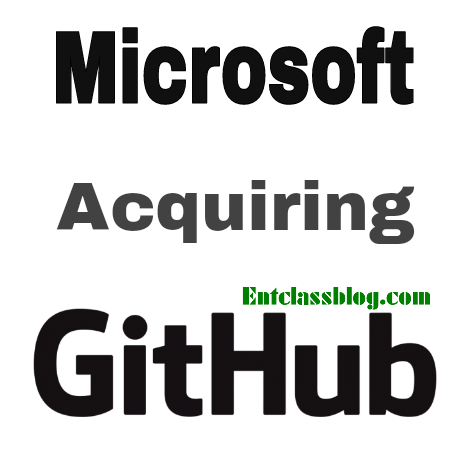 Microsoft set to acquire GitHub - which is the most popular website for hosting repositories of codes. I've used GitHub a couple of times and even some codes i used on this blog are gotten from there. It'll be worth knowing that Google moved most of its projects including some open-source Android applications and libraries to GitHub after shutting its own Google Code service. GitHub is an open-source service running independently for over 10years. 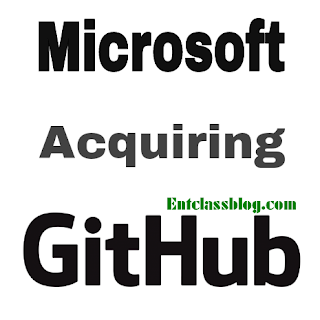 Now, Microsoft is planning to buy the company where its developer documentation and many of the company's recent open-source projects like Visual Studio Code and PowerShell are hosted on. Microsoft has already reached an agreement to purchase the company. GitHub apparently preferred selling the company to going public, and Microsoft's newest CEO Satya Nadella impressed GitHub executives. In regard to the news, many developers who felt sad on the news has started looking for an alternative options for hosting their projects, which GitLab - an open-source alternative to GitHub - was their newest choice. The worth of the deal hasn't been made public yet but the deal will reportedly be announced today (Monday, June 4, 2018). More info and coverage can be found on Bloomberg here. Microsoft too really want to be competitive, all things being equal, it is a good news. It's really a sad news, Microsoft is one of the major spy agencies of U.S government. So, many developers who are security conscious will abandon the platform.